Industry-standard production station that allows user to effortlessly produce beats, melodies, and harmonies with powerful drum synths, premium sounds, an integrated sampler, and more – it is a unit where cutting-edge MASCHINE 2 software meets intuitive hardware for ultra-smooth workflow. Its 16 multi-colour, high-quality, illuminated pads with velocity and aftertouch provide ultimate feel in the thick of the beat. 8 dedicated multi-colour group buttons and an endless master push encoder deliver hands-on control of sounds and key parameters. Eight display knobs automatically map to key instrument parameters for on-the-fly, two-handed tweaking and sound shaping. The included MASCHINE 2 software is exploding with cutting-edge technology, offering improved browsing, arranging, and sampling, plus a new mixer, plug-in strip, and exclusive drum synths. Plus, it comes supplied with the KOMPLETE 11 SELECT – a premium selection of 11 KOMPLETE Instruments and Effects. Dimensions: 320 x 295 x 65 mm. Weight: 2.1 kg. White colour. 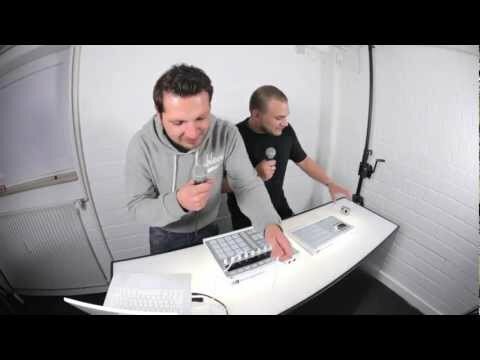 Do you own Native Instruments Maschine MKII White or have you had a chance to try it?